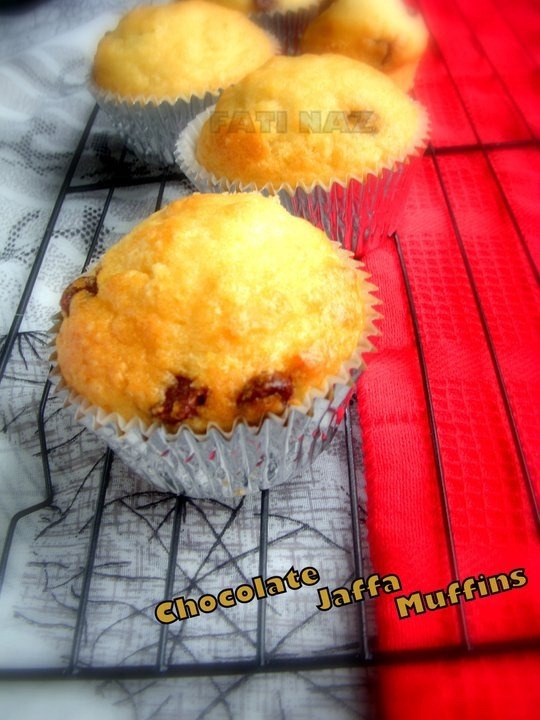 This recipe for chocolate jaffa muffins is shared by Fati Naz. You can give these muffins to kids for school and you can have them with your evening tea. You can make these muffins with a hand mixer too. Preheat oven to 200 C. Grease 12 hole muffin pan. Sift flour into the large bowl …rub in butter, stir in sugar, buttermilk and egg…Do not over mix …mixture should be lumpy.Stir in Choco chips…and rind.